Pharos University is the first Egyptian private university in Alexandria. It was established by Presidential Decree No. 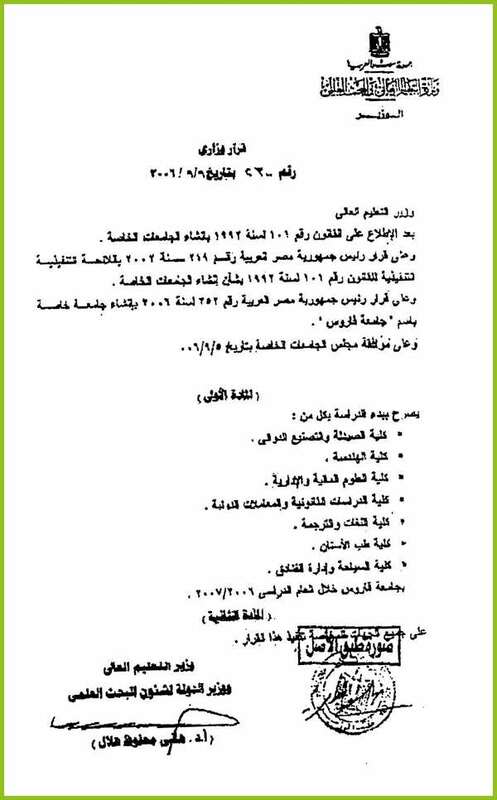 252, 2006 and Presidential Decree No. 302, 2009.The university’s certificates are all accredited by the Supreme Council of Egyptian Universities and the Ministry of Higher Education. 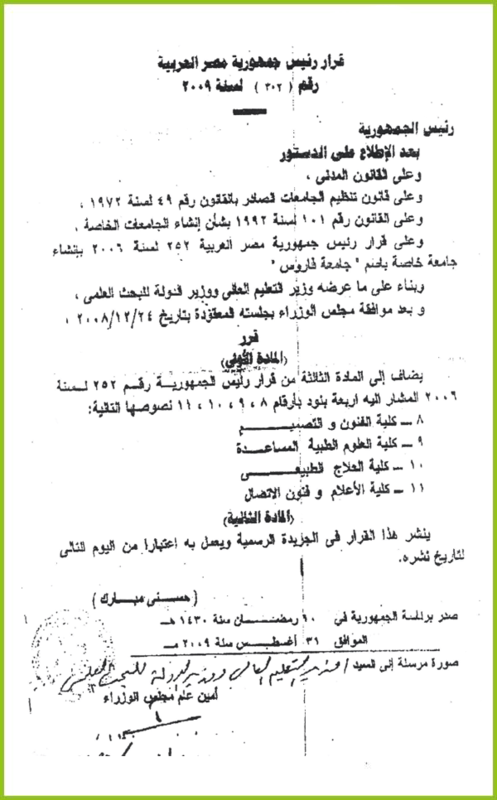 On July 15th, 2006, the presidential decree No. 252 for founding PUA with seven faculties was issued. On August 31st, 2009, the presidential decree No. 202 was issued for four additional faculties. Moreover, PUA has been licensed from the Egyptian Council of Private and National Universities to operate a total of eleven faculties. The University of Pharos was established in accordance with the latest internationally acknowledged standards and parameters regarding higher education quality, and is Supported with advanced, highly equipped scientific laboratories. The University has signed a series of cooperation agreements with a number of European and American universities (euro-mediterranean universities union) in order to benefit from their advanced modern teaching methodologies and sustainable development in the various fields of science, as well as the application of international quality systems. In accordance with that, many student and faculty staff member exchange programs are organized between PUA and other universities in order to take advantage of the expertise of those universities and achieve further development.